Non-presenters are also welcome to participate. The IEA Annex 66 meeting is a group of approximately 100 researchers and other experts on the topic of occupant behavior and its modelling and simulation. The two-day meeting consists of reporting, discussion, and planning of a four-year initiative to advance to the state-of-the-art in the definition and simulation of occupant behaviour. The detailed agenda will be released approximately one month before the meeting date. Observers are welcome to attend. OB-16 Symposium, River Building, Carleton University, 9-17 IEA Annex 66 meeting Day 1, 9-17 IEA Annex 66 meeting Day 2, 9-17 Optional: excursion to surrounding wilderness (possibilities: white water rafting, picnic and beach, canoeing) TBD. 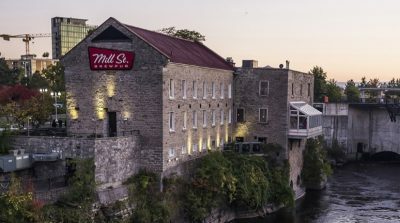 There are many other hotels in the downtown Ottawa area and a few B&B and Air BnB options closer to campus. Finally attendees may stay at the Carleton residence and receive a free breakfast (see table below for rates) (registration: http://conferenceservices.carleton.ca/accommodations/individual-guests/). 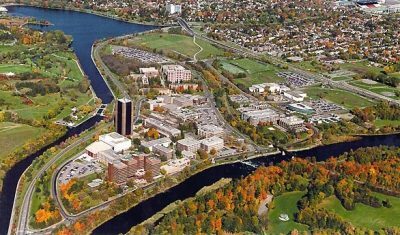 Ottawa is quite a small city, thus biking, walking, bus, or LRT are all reasonable methods to get around and to Carleton university from downtown. Big list of tourist ideas! In Ottawa: Many museums, galleries, monuments, lights show, and parliament buildings; longest skating rink in the world (not frozen in summer!). Within one hour: Large national park (Gatineau Park) with camping, cycling, canoeing, hiking, caves, white water rafting, etc. Within five hours: Toronto (Canada’s largest city; perhaps the “New York of Canada”) and Quebec City (Canada’s oldest city and North America’s only walled city; lots of culture and history). Maritimes: Within a 12-20 hour drive or 2-3 hour flight, you can get to the East Coast. Out there, you can find very friendly people, beautiful scenery and parks, great music and food culture. Newfoundland is particularly exotic and probably the best place in the world to spot (and eat) moose. Rocky Mountains and West Coast: Within a 4-6 hour flight away, you can find Canada’s highest mountains, vast wilderness (e.g., Banff or Jasper National Parks), and a few interesting cities (e.g., Vancouver, Victoria). There is a famous train with glass ceilings that goes coast-to-coast in Canada, but it is very pricey. Getting around: Canada’s public transportation between cities is modest. Daytime and overnight trains go between all major cities but are not much faster than driving. Flights are available to many cities from Ottawa, but tend not to be cheap. Cars can be rented quite inexpensively (~$30/day) and gasoline is very cheap compared to European standards (~$0.90/L). Weather: August is Canada’s warmest month. Ottawa is usually around 20-33°C, sunny, and humid in early August.